After all the glorious mayhem of 2017's debut Thrashville, the one-day punk and metal extravaganza returns with extra teeth in 2018. After its breakthrough debut in January this year, it was abundantly clear that punk and metal fans are looking for a grassroots event – and festival promoter Dashville is happy to provide. 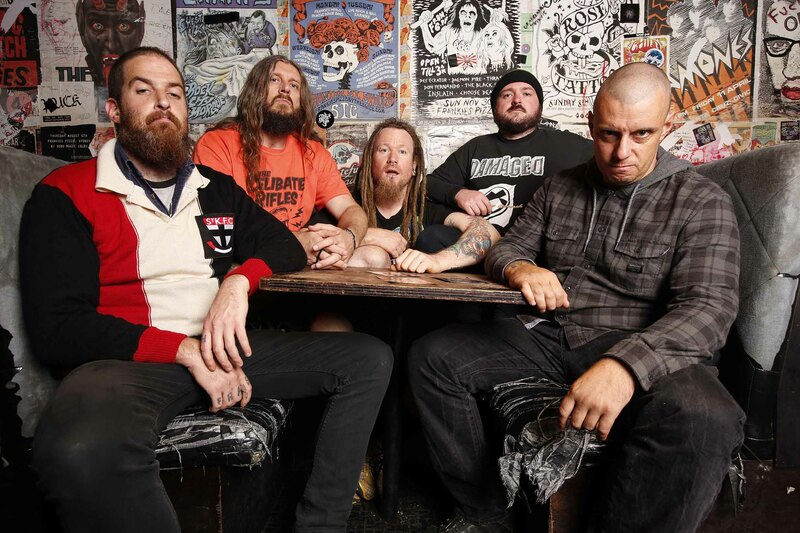 The best of the Hunter’s acts will share the stage with some of Australia’s heaviest hitters. Punk legends FRENZAL RHOMB will make their Dashville debut, fresh from the release of their raucous Hi-Vis High Tea record. Their relationship with the Hunter Valley extends back over two decades, to the days of Dog Bite in the late ‘90s. Dashville is very proud to be bringing them back to a rural town. Metal maniacs KING PARROT will no doubt be the heaviest band to ever perform at the famed Lower Belford property. Renowned for their insane live shows, genius music videos and brutally infectious anthems, Thrashville fans are going to know they’ve been swooped on by the Parrot. BATPISS have quickly garnered a legion of followers with their dark brand of sludge punk. Their 2017 album Rest in Piss is raw and unmistakably Australian, punctuated by heavy riffs and unsettling lyrics. Thrashville welcomes “The Bok”. 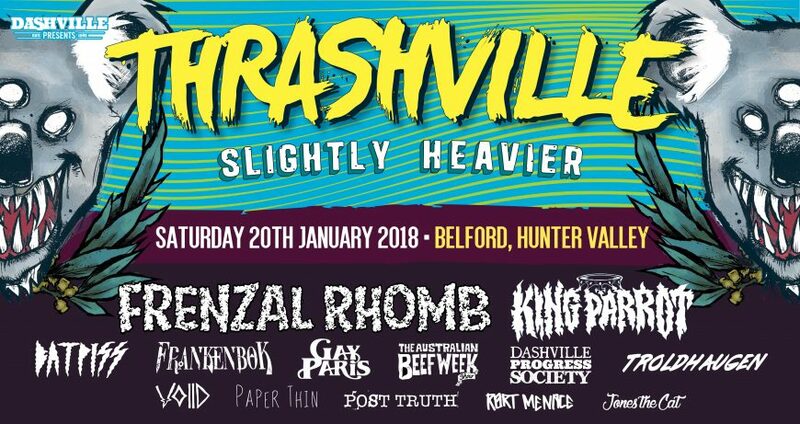 FRANKENBOK have long had a beloved fanbase in the Hunter Valley and Dashville is delighted to finally bring them to Dashville. The Melbourne metal purveyors deliver pure, unadulterated brutality, plying their trade over two monstrous decades. Rounding out the bill is the return of punk rockers THE AUSTRALIAN BEEFWEEK SHOW, who blew everyone away at Thrashville’s maiden voyage, prog maniacs TROLDHAUGEN, Brisbane all-girl garage rockers VOIID, new band POST TRUTH (featuring members of Hard-Ons and Conation), Newcastle punk bands PAPER THIN, RORT MENACE and JONES THE CAT, plus famed Dashville supergroup DASHVILLE PROGESS SOCIETY (featuring members of Zombonimo and Mischling) who will deliver a wild set of punk and metal covers. There will be a couple more bands to come. Thrashville will also feature a host of delicious food trucks, skate demos on the Dashville half pipe, live graff art and lots of other fun shennanigans. The campground opens at 10am and the arena/bar opens at 11am, with music starting at midday. If you don't want to take up the optional camping ticket, head to Rover Coaches to book a return bus. THE AUSTRALIAN BEEFWEEK SHOW + VOIID + POST TRUTH + PAPER THIN + RORT MENACE + JONES THE CAT and introducing DASHVILLE PROGRESS SOCIETY.